The UV-1310 COLOR RADI0METER AND DOSIMETER PLUS UV AND TEMPERATURE is a self-contained, high quality UV measuring instrument. With these three different UV-bands most of the measuring requirements of UV curing applications can be covered. Due to its three different UV sensors and the integrated microprocessor the UV-1310 Color Radiometer + Dosimeter can measure, record and display the peak of the UV-intensity (mW/cm2) for each UV-band individually plus the peak of total UV energy. Additionally, this instrument is calculating the UV-dosage (mJ/cm2) of the UV energy supplied during the time of exposure of one measuring cycle. The UV-dosage is calculated for each UV-band (UV-A, UV-B and UV-C or UV-V) individually and as total Integral of UV-dosage over all three UV-bands. This allows to determine not only the total energy, but also how that energy is delivered, i.e., what intensity and dose at what UV-band. Additionally it is equipped with an extra sensor for measuring temperatures from 0 to 230 F / 0 to 110 C.
*This instrument features a selectable triggered mode, i.e. the 30 sec recording cycle starts within a 120 second readiness phase not before the incident UV-intensity exceeds 2 mW/cm. The four sensors are on the back of the unit which also serves as a heat shield. 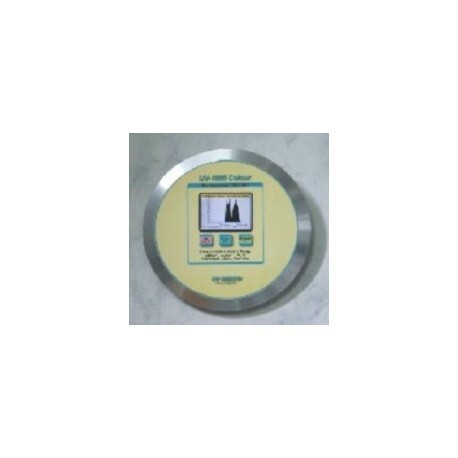 After completion of the measuring cycle the measuring results are instantly displayed numerically and graphically auto-scaled on the built in 45 x 34 mm (1.75 x 1.3) TFT color display. A special AUTO-OFF feature that turns off the unit automatically after one minute serves as energy saving and extension of the battery service life. 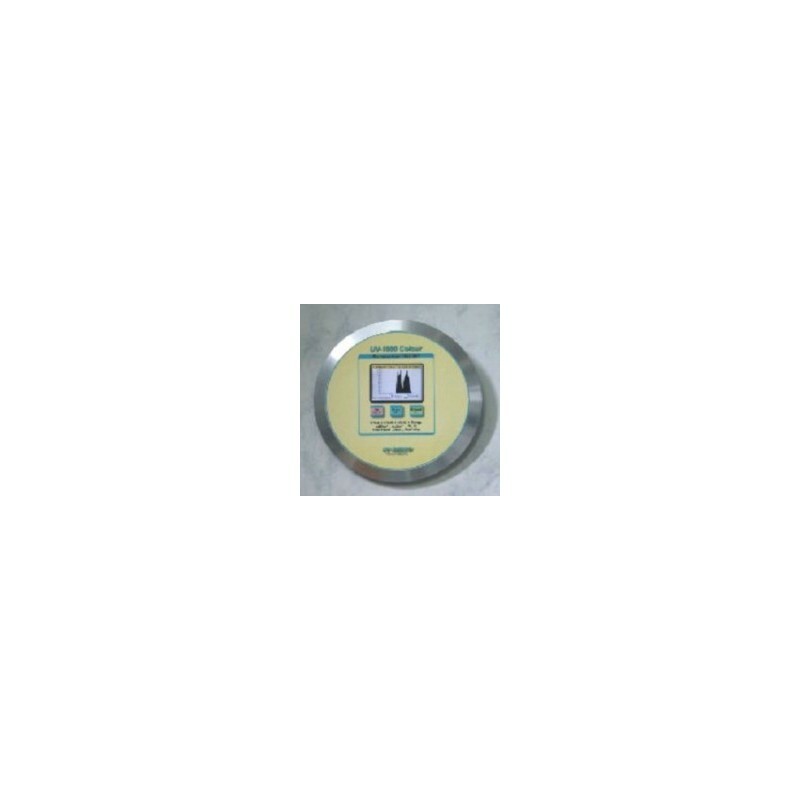 The UV-1310 Color ComPort Radiometer + Dosimeter comes with a SD Memory card used to store data replaces the USB comport. The measuring data is stored directly to the inserted SD card and a circumstancial data transfer to a PC is not necesary after each measuring cycle. The evaluation software has been modified and is more user-friendly compared to earlier versions. While on the conveyer belt, the UV-1310 Color Radiometer + Dosimeter can withstand max. 230 F / 110 C for up to 10 seconds. The temperature of the housing should not exceed 113 F / 45 C. Because of uneven radiation distribution of the UV light source and different type of construction of the measuring devices by different manufacturers, different readings may appear under the same measurement conditions.